MAHLE Powertrain, the global leader in engine development and consultancy, has completed a vital pressure test which sees its new RDE Centre take a huge leap to becoming fully operational, offering the UK never-before-seen emissions testing capability. The pressure test, which took place in the chamber that will house the 4WD chassis dyno, is an integral part of the facility’s construction. Air was pumped out of the chamber, to simulate high altitude, equivalent to being at Mount Everest base camp. 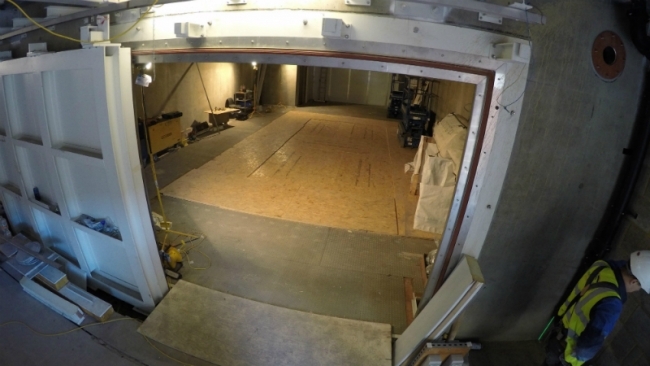 The test allowed MAHLE to check the structural integrity of the chamber walls, which were subjected to loads of five tonnes per square metre. Measurements were also made to check the effectiveness of the chamber’s port seals and doors, ensuring that there was no pressure ‘leakage’, meaning altitude and temperature tests can be conducted without compromise. Commenting on the successful test, Derek Wise, chief engineer at MAHLE Powertrain, said: “The test is a significant milestone in the construction of our RDE Centre. The importance of the new centre cannot be understated; it will allow vehicle manufacturers to develop the next-generation of gasoline engines right here in the UK. The chamber will utilise Weiss altitude and environmental simulation equipment, which comprises a circulatory air conditioning unit to control air temperature, humidity and distribution inside the test chamber, and a refrigeration system to reduce the air temperature to as low as -40 °C for sub-zero vehicle emissions testing.